If you want to buy a car having sharp aesthetics and a magnanimous 2 liter engine, then you should wait for the 2016 Skoda Superb. 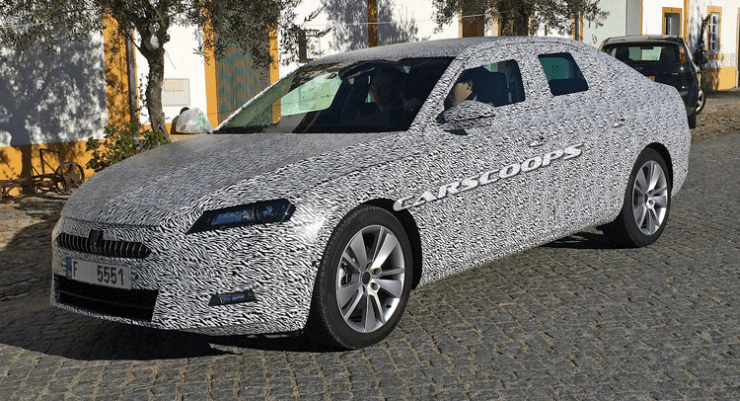 The luxury saloon was spotted testing for the first time and which would be unveiled at the 2015 Geneva Motor Show. The sedan will be developed on a Modular Transverse Matrix (MQB) platform and the Czech Republic based automaker is likely to roll out these units by the end of 2015. 2016 Skoda Superb will have better interior space and a bigger engine comparable to the 2015 Volkswagen Passat. Super will have a 2,836 mm wheelbase and a length of 5 meters, which would be driven by a turbocharged 1.8 liter TSI petrol and a 2.0 liter TDI diesel engine. The main reason to keep the length restricted to 5 meters is to make the car maneuverable in the city traffic. 2016 Skoda Superb will have a 6 speed manual and a 6speed and 7 speed DSG automatic gearbox. The most eye catching part of the car will be its sharp design having its origins traced back to the Vision C concept, Skoda had recently showcased. 3.6 liter V6 engine will no longer be available and as per the current trend, in India, the 2016 Skoda Superb will be assembled at the Aurangabad plant. Skoda is bringing this new model in a saloon as well as a station wagon platform of the Indian market which will only see the saloon version. These new aggressive looks and spacious interiors will come with a slightly higher price tag as compared to the current version in the market.